MEGA PRINTING & PACKAGING SDN BHD Improves Order Management and Accounting Processes with SAGE 300 ERP. Petaling Jaya, June 12, 2012. As a family runs business operation in the Sothern state of Melaka Mega Printing & Packaging Sdn Bhd has established herself as one of the leading manufacturer of a wide range of sophisticated flexible packaging materials catering to the high ends of the domestic and foreign market. 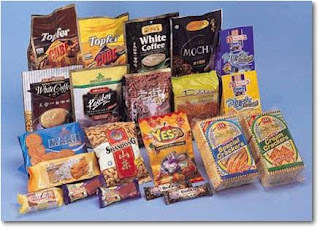 The company also engages in consultation works on packaging from design stage to final production catering mainly for leading food manufacturers and confectioners both on the local front and overseas. Today, her modern set-up boasts of 179 staff and workers operating on three shifts. Specialty printing & packaging is a very challenging business that is facing tremendous margin erosions over the year as competition heats up both locally and abroad. With waffle thin margins it is imperative to manage the Sales Order process, Material Inventory and Manufacturing process efficiently. The company encountered issues tracking the cost of manufacturing individual components, forecasting purchase requirements, and scheduling production processes. With little or no integration between the manufacturing systems and accounting, management was also not able to easily retrieve information on the day-to-day operations, hindering the overall decision-making process. Recognizing that having modernizing their plant with new machineries imported from Japan & Europe itself is not the only solution, Mega Print began searching for a new integrated ERP system that would boost efficiencies within its inventory management and accounting processes. However, the search for a new solution proved to be a difficult process. Mega Print looked at a number of options including SAP B1 with manufacturing add-ons as well as, Sage 300 ERP with its add-on AutoSimply Manufacturing modules..
Part of the challenge for the potential vendors was Mega Print’s product Cradle to Grave tracking and Costing by LOT requirements. Parent and Child Tracking for inventory items, one to many, many to one and many to many relationships. Mega Print had both the SAP B1 and SAGE ERP consultants down to Melaka for presentation & discussions. Their evaluation team then comes up to Kuala Lumpur for further discussion and to attend both the SAP Solutions Summit and also Sage Solutions Summit that was organized by Careware the leading Sage partner in Malaysia. After a thorough selection process and recognizing the strengths and weakness of both the system, Mega Print selected SAGE 300 ERP Premium to help it handle its sales Order, inventory management and accounting processes. The reason that they selected Sage ERP was that Careware consultants were able to show and address their pain points with some of their own data. Functions like Costing by Lot, Flexible BOM and tight integration to Sales Order Entry and Accounting systems, etc. Careware demonstrated a clear understanding of Mega Print’s requirements. Having experience in the similar industry, with at least two other deployment of Sage 300 ERP for two Printing & Packaging factory in Melaka. With a thorough understanding of business practices and a solid team of IT professionals, Careware was able to customized or suggest work around procedure to the needs of Mega Print. Since installation of Sage 300 ERP v. 6, Mega Print is already gone live and running with the Financial & sales operational & inventory modules. Right now the next phase of implementation kicks in June/July for Manufacturing Oder, Production Planning and Manufacturing Lot in progress. Mega Print has been able to improve a number of processes related to inventory and accounting. Inventory tracking is more visible and managed in near real time. Costing by lot information is available at the inventoried item level. Financial reporting has improved with the ability to customize reports and quickly drill down to analyze results. About CareWare Systems : Through its partnership with Sage, CareWare Systems helps small and mid-size companies in Malaysia reach productivity levels at the top of their respective industries. CareWare represents a variety of business management software including Sage ERP, SageCRM, For companies interested in growth, profitability and superior software support, CareWare is the Sage business partner for you. For more information, please visit our website: http://www.careware.com.my/.